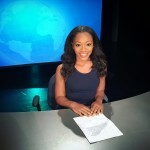 KIRS In Studio Correspondent Naomi Grey premieres her web show focusing on the controversial topics in sports today. In this episode she tackles the story regarding Cleveland Cavaliers guard Kyrie Irving and his now infamous yacht party featuring mostly white women in the raw video that leaked on the internet. More Attractive Franchise: Knicks or Lakers?